We are so excited as we head into our 5th year of business. 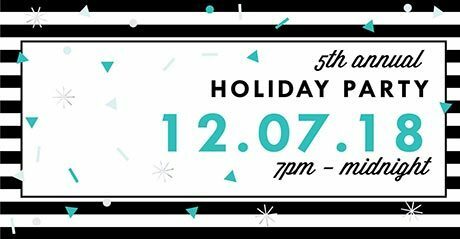 We wanted to make sure everyone knows that our annual Holiday party is right around the corner on Friday December 7th, from 7:00 pm to midnight. We welcome islanders to join us in celebrating our gratitude for this wonderful community that has supported our passion of movement through the last 4 years. As always, a delicious variety of food from Coho Restaurant will be on the menu. Along with the great food, we have amazing live music with Bryan Leighton, followed by DJ Neon Tide. We will also hold 2 drawings for a 6 month unlimited Group fitness membership (a $1,040 value) and a 12 month unlimited group fitness membership (a $2,029 value). Drawings will be at 8 and 9 p.m. So, mark your calendar and feel free to dress up with us (although it is not a requirement!). Join us for a festive fun holiday celebration!